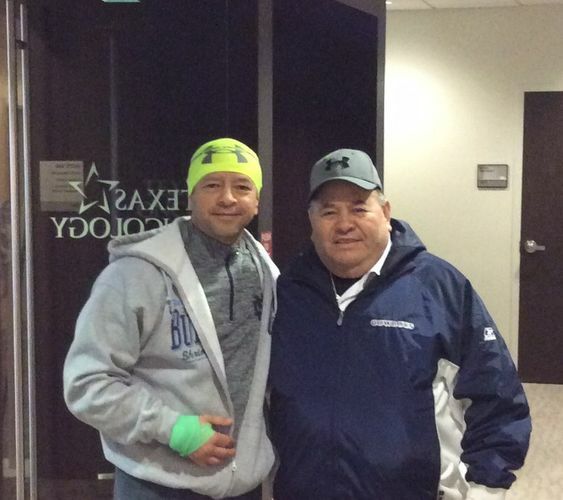 Living Proof Cancer Warriors | We Are Living Proof! Whether you are a Cancer Survivor, a Supporter or simply have a loved one you want to help or represent. We will help you find a way to volunteer that best suits you. We’re excited to have you join the team of Living Proof Cancer Warriors! Your generous gift will help a cancer patient get the treatment they need and assist them during their battle to win life. Please consider a monthly pledge when donating. It is easy .. just check the monthly donation box! We are a collective group of cancer warriors bringing assistance to the battlefield of our brothers & sisters within our community by providing them with sustainable resources and the financial assistance required to win their battle. Did you know one single chemotherapy treatment can cost in upwards of $24,000? We may be new but we have a lot of drive and persistence to get help directly into our communities. Our first objective is to provide our fellow cancer warriors with the financial assistance they need to get through their treatments. Our primary source of fundraising is through our annual golf tournaments so your support is essential. Our next goal is to provide patients with a holistic approach health & fitness program which will assist them in thriving long-term. This program is in the planning stage. More information to come in 2019. We Currently serve the Greater Dallas/Fort Worth Metropolitan, Texas Area . *Important* – Our giving is currently via direct referrals from hospital social workers and other non-profit organizations. Please consider a monthly pledge when donating. It is easy. Just check the monthly donation box. We are a collective group of Cancer Warriors bringing assistance to the battlefield of our brothers and sisters within our community by providing them with sustainable resources and the financial assistance required to win their battle. Did you know one single chemotherapy treatment can cost upwards of $24,000? We may be new but we have a lot of drive and persistence to get help directly into our communities. Our first objective is to provide our fellow Cancer Warriors with the financial assistance they need to get through their treatments. Our primary source of fundraising is through our annual golf tournaments so your support is essential. Our next goal is to provide patients with a holistic approach health & fitness program which will assist them in thriving long term. This program is in the planning stage and more information is to come this year. We currently serve the Greater Dallas/Fort Worth Metropolitan, Texas area. *Important* – Our giving is currently via direct referrals from hospital social workers and other non-profit organizations. We will help you find a way to volunteer that best suits you. We’re excited to have you join the team! LIVING PROOF CANCER WARRIORS T-SHIRTS! 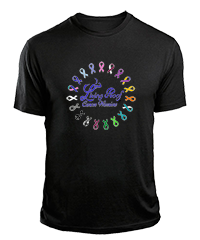 All proceeds from our shirts help a cancer patient with financial aid. *All t-shirts are Bella brand.